We have an urgent opening with Deloitte on our pay roll(Xpans it) full chance to come on permanent as depending on performance. Interested candidates please send me your resume asp. Provide L2, L3 Support for Hadoop platform issues. Debug day to day job issues in Hadoop platform and provide solutions. Perform Tuning and increase Operational efficiency on a continuous basis. Work with cross functional teams to set up production environment and enable solutions for business. Interact with business users to answer their queries and solve their problems. Able to help and Guide L1 support engineers to fix day-to-day Operational issues. Perform data migration, upgrades and database/tool maintenance etc. Develop scripts to automate reports and maintenance activities. Send daily or weekly status reports to management. Monitor health of Hadoop cluster and Generate Performance Reports and Monitor and provide continuous improvements. Minimum 4 years of work experience in Data warehousing technologies and minimum 2 years of work experience in Big Data or Hadoop platform environment. Good experience in Level 2, 3 support for performing hot fixes and dealing with platform issues in production environment. Good knowledge in ETL Architecture and Hadoop platform architecture. Require good Unix skills and good knowledge about Linux networks etc. Experience in tool Integration, automation, configuration management in GIT, Jira platforms. Should be proficient in writing shell scripts, automating batch and designing scheduler processes. Should be able to understand Python/Scala/Java programs and debug the issues. 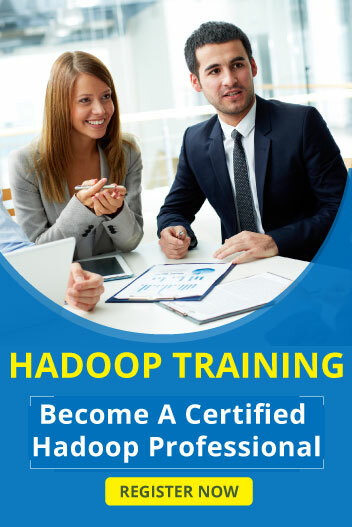 Require good understanding and knowledge about Hadoop Ecosystem, HDFS and Big Data concepts. Good understanding of Software Development Life Cycle (SDLC), agile methodology. Excellent oral, written communication and presentation skills, analytical and problem solving skills. Self-driven, Ability to work independently and as part of a team.